Airplane waste from vacuum toilets is constantly inundated with a variety of “non-disposable” items that will ultimately clog downstream sewer lines, pumps and processes. Most terminals utilized airport waste triturator facilities to collect the waste from vacuum toilets. 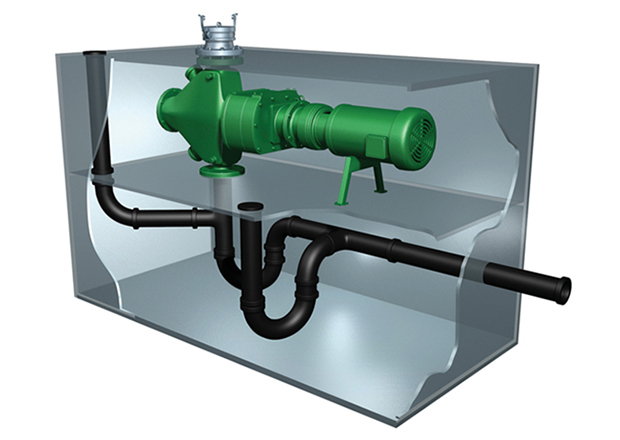 Improve your aircraft waste system efficiency with the JWC Airport Receiving Station. World Class airports around the globe utilize JWC’s Airport Receiving Station to dispose of their vacuum toilets waste cleanly and efficiently. The airport receiving station features a 30K Muffin Monster® to deal with the tough solids and it allows lavatory vacuum trucks to quickly dump their vacuum toilets waste. The grinder handles all of the plastics, textiles, wipes and other solids that may be in the blue water waste. Ground material is then flushed into the local sewer system without clogging any pumps or valves.